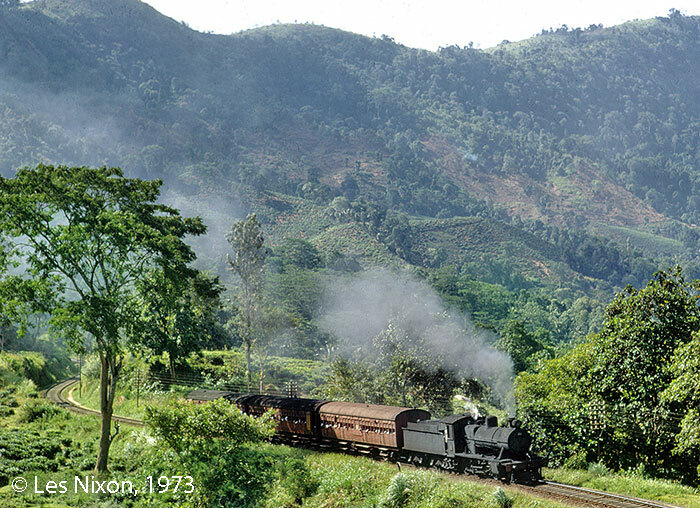 Not the Viceroy: Freight train to Badulla! Sri Lanka is a tropical island in the Indian Ocean. The volcanic origin created mountains up to 2,524 metres high in the centre of the island. 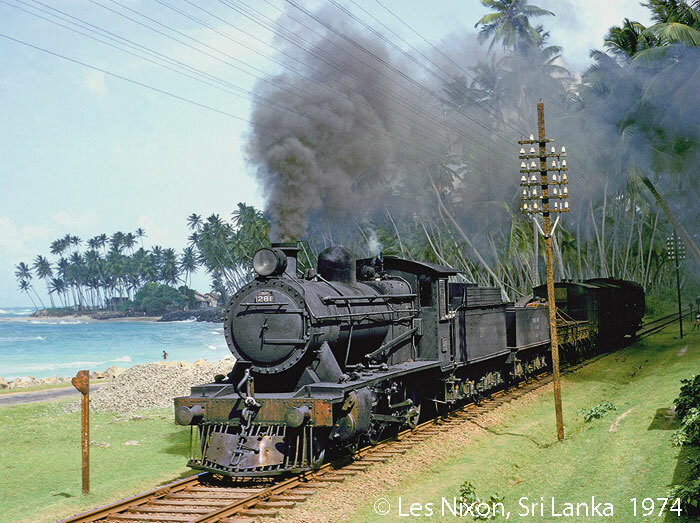 In the era of the British Empire the island, then named called Ceylon, was developed with the help of railways. One of the broad gauge lines climbs steeply from the lowlands into the mountains. We’ll especially explore this particular line with its spectacular and scenic sections. 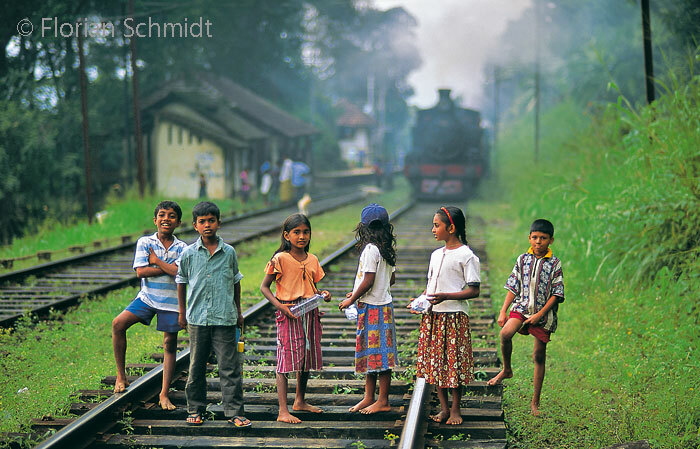 Years ago I tried to organise a tour to the former Ceylon, Sri Lanka. Firstly it was spoiled by the civil war, then later a Tsunami washed away our plans. Since that time things have changed. There is a ban on the use of two axle wagons and there are serious plans to modernise the still British signalling system, with all its levers, linkages and semaphores. There are restrictions on making runpasts on gradients; there are problems taking a diesel loco off a train before a runpast; the railways have tightened their safety systems which make runpasts difficult and so on. Since I restarted negotiations for an authentic steam charter train in July 2012, I’ve had to deal with several different people, explaining every detail again and again. But suddenly, the man I had talked to about a decade ago came back into office and things began to develop. After very long talks, they finally agreed to make a tour of our style possible and we came to an agreement. So here it is: a steam charter freight and mixed train tour to a country with an ultra-spectacular mountainous broad gauge railway line. 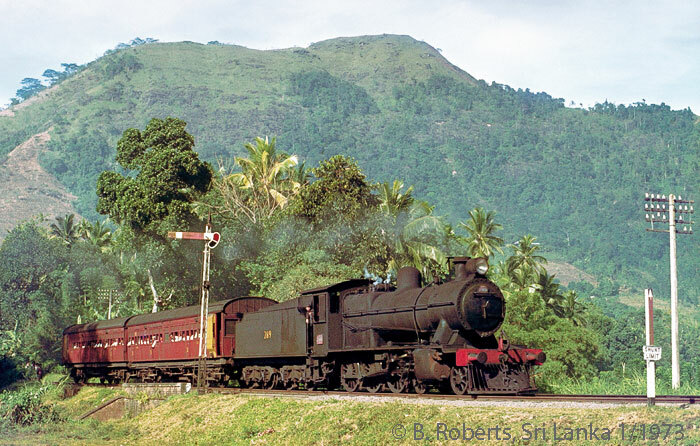 We’ll make it all the way from Colombo, the capital, to Badulla high in the mountains and back, using the 4-6-0 locomotives which normal haul the Viceroy Special coaches. It won’t be the, “Sir, did you miss your afternoon tea?” tour, it’s a tour for dedicated railway photographers and video film makers. However, there is also a tourist option for partners, who want to see more of the beautiful countryside and its history … please see the last paragraph of the “Line Description” section. Finding appropriate wagons was a challenge. We went as close as you can imagine to getting two axle wagons back into service for our charter train. The General Manager (Operations) of the railway agreed to lift the ban for just our charter train. Unfortunately, the interim General Manager declined our request. There is still a hope that the regular General Manager will return to office before our tour. This would give us a 50/50 chance of having traditional freight wagons behind our loco. However, what we found elsewhere on the track will suit our plans very well. There are still a handful of serviceable, partly riveted freight wagons using axles with plain bearings. In addition, and to our great surprise, the “Rajagopal” class TV  traditional combined guards vans/passenger coaches  is still in use. 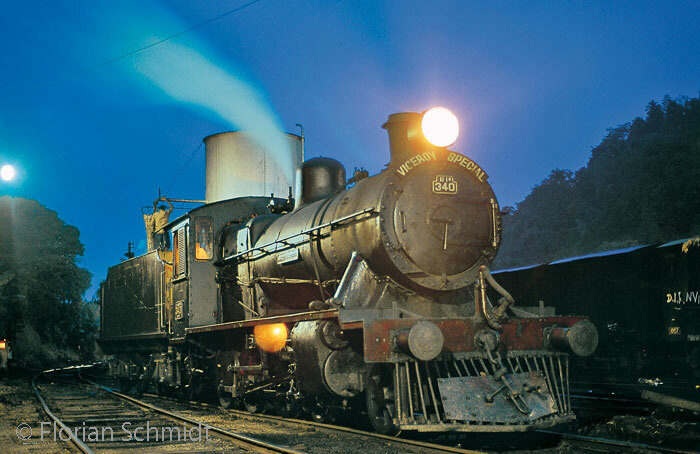 We’re using the locomotives from the Viceroy Special, two beautiful 4-6-0’s. They will not carry the Viceroy Special plate on the smokebox door. Instead we asked that they’re not polished for at least a month before our tour. 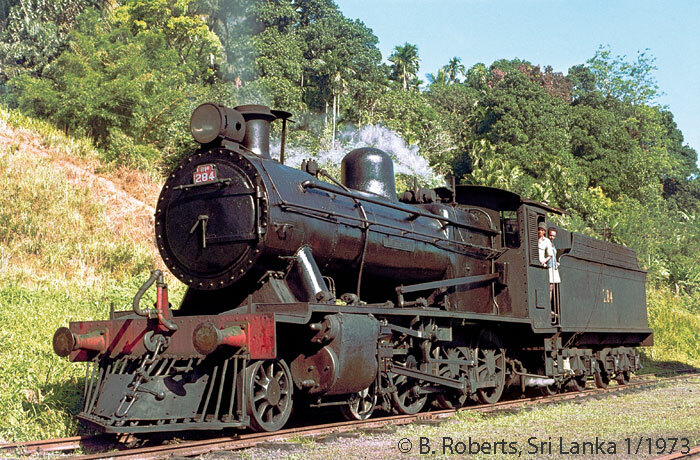 Sri Lanka’s steam locomotives were mostly kept clean pretty well to the end of their service life, but cleaning a loco which is not nice looking will take you two hours while converting an oily, shiny circus horse into a real locomotive may take weeks and months. We try to make our trains look authentic  which includes, sometimes, local passengers onboard (Nike shirts are prohibited …). In the early morning, before breakfast, we’ll go by bus to Rambukkana, where our steam train is waiting for us. 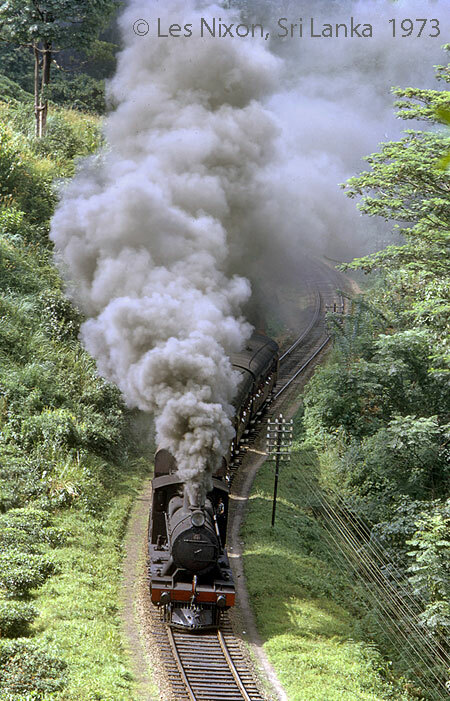 With a mixed train we’ll steam uphill to Kandy. On the steepest part the train might be shortened. In the evening we’ll continue by bus to our hotel in Nawalapitiya. 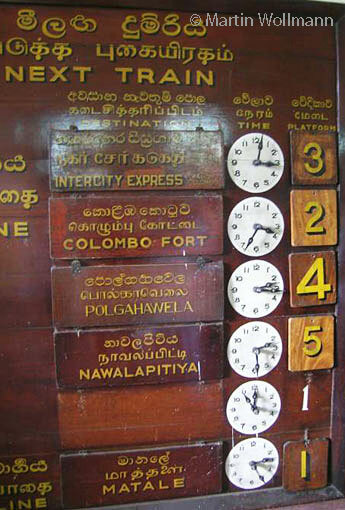 The whole day our train will roll downhill from Nanu-Oya via Peradeniya to Ramukkana. 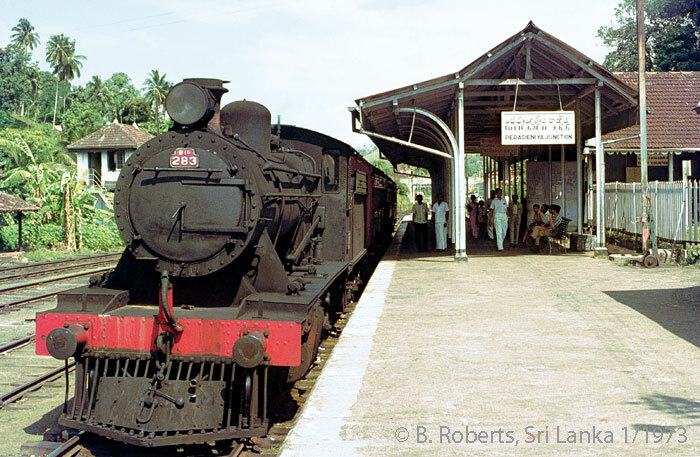 We’ll leave the train in Peradeniya, some five miles from Kandy and stay overnight in a nice hotel in Kandy. Sri Lanka is a large island in the Indian Ocean. 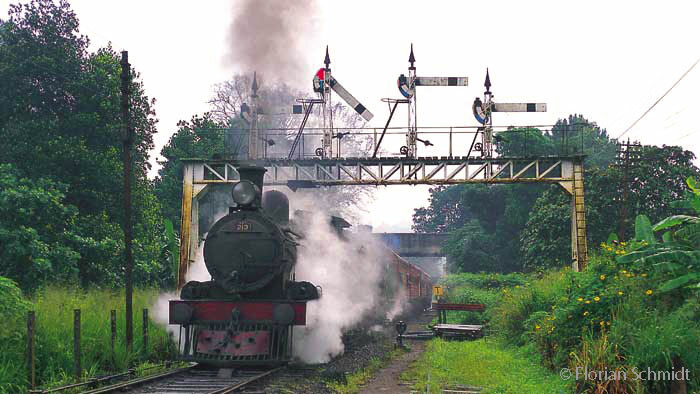 The lowland near the capital, Colombo, is served by a double tracked main line. The railway is mainly modernised with colour light signals. But the major part of the island is mountainous. 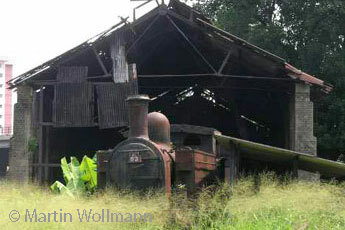 The railway in the mountains is often still looking as it did in colonial days. Some stations have a forest of semaphores, traditional gantries, signal cabins, platform shelters and so on. It’s all very British. 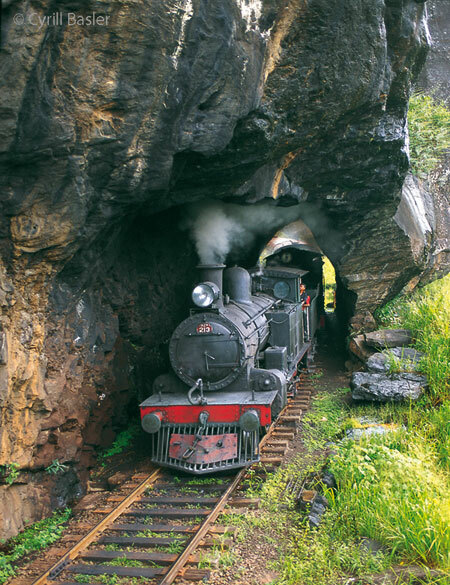 Besides the station the countryside is breathtaking with rock tunnels, sharp climbs, tight curves and tea plantations. Sometimes the countryside opens up and you can have outstanding views over several mountain ranges, far away. There are stone arch viaducts, s-curves and palm trees. In short, the railways are fantastically scenic and once you have seen the stations, looking like the Great Western but with their nearby towering rock faces, you’ll want to stay longer than our budget allows. We’ll probably see the locos B2b 213 (Vulcan Foundry 3555/1922) and B1d 340 (Frederick North, Robert Stephenson 7155/1944) in use. Both are beautiful, British engines which were in use until the end of steam in the 1970ies. Designed as passenger train locomotives, they could be seen in front of mixed or freight trains. Sri Lanka has much more to offer than railways. If you want to bring along your partner who is not interested in our railway activities and not taking pictures of our charter trains please bring her along and we’ll arrange a special programme to see all the highlights available along our route, such as the elephant Orphanage in Pinnawela, a longer visit to the Temple of the Tooth in Kandy, a dance performance and fire walking show at the Lake Club of Kandy, a tea plantation near Nuwara-Eliya, the ancient city of Polonnaruwa, the “Awkana” Buddha statue, the Dambulla caves or close by Sigiriya the Rock Fortress (300 AD). These extra trips will be arranged in advance if requested before December 2015 or on the spot if you prefer to think about tourist side trips no earlier than at the dinner the evening before. The price reduction for non-photographing partners is £610  all extra transfers and an extra guide included. Sri Lanka has a tropical climate. Even in the dry period you may have clouds and even rain. February is one of the seasons when the chances for sun are best. In Colombo and Kandy, February is the best time to travel, while the driest month in Badulla is June. So please be prepared for 35° Centigrade and sunshine and also for 20° Centigrade and rain. Both are usual all year round in different parts of the country. Morning temperatures in the mountains can be fresh, so please do not forget to bring something warm to wear. The humidity can be tropically high. We’ve ordered full board; however, it can’t be guaranteed that there will be a chance for a proper lunch. Sunrise is around 6.20 am, sunset around 6.20 pm, and those are the main facts for the day. While breakfast and lunch might be delivered as packed meals, dinner is often sumptuous. Sri Lanka is famous for its tea, so you should at least try it. A charter bus will always run parallel to our charter trains. There is a minor risk of Malaria in most parts of the country that we’ll visit. Although our hotels mostly offer air conditioning, you should think about carrying a mosquito net with you. In the evening hours you should wear long trousers and long sleeved shirts to avoid contact with mosquitoes. There is no need for special vaccinations. You should carry some tablets against diarrhoea and the common cold with you. There are some good and stylish hotels of the upper middle class. However, please consider that service standards and  in particular  security equipment cannot compete with European standards, especially in smaller places. Particularly in the outskirts of large cities, there’s poverty, misery, dirt and unhygienic conditions. We will not visit these parts of the cities, but you never can be sure that you won’t see people who have to live in such sorry surroundings. If you have no travel experience in countries like Sri Lanka, India, Bangladesh and so on, it would be wise to read a general guide book about the culture, the religion and the political development of our host country. In addition, don’t forget the chapter on how to behave with beggars. With this knowledge you will see and understand more of the country and its inhabitants, for sure. However, you shouldn’t be too concerned about unpleasant circumstances. We’ll visit the most beautiful and peaceful parts of the country. We’ll move generally in safe and quiet places (although I wouldn’t count Colombo as a quiet place …). The number of possible runpasts is limited by the time we have and the regular traffic, which we need to consider. We can’t block the line for too long in order to avoid delays to the normal traffic. We have to take a diesel locomotive with us all the time, and only for the runpasts, will they allow us to uncouple it from the train. Hence, this will take up some time. In some sections of the railway, for instance on the double tracked main line and on steep gradients, for safety reasons they’ll not allow us to set back the train. This means we’ll have to spot the photo position in advance and then walk to it. This also requires some time and only with the discipline of the group, will it be possible to make the most out of the given limitations. Some of the photo spots will not accommodate as many photographers as we would wish to place there. As there is only one shot possible in some of the spots, we need to be very congenial and understanding to make the trip successful for everyone. Most of the participants will be used to squeezing into the tiniest spot, just occupying the space of their lens. Huge video tripods might not be possible in such circumstances. Most of the photo positions offer plenty of space for a large group, but a few don’t. We’ll try to repeat runpasts at such positions but can’t promise that it’ll work as we’d like. The Sri Lankans are used to running charter trains for a society with a wider interest than railways and some people in those groups don’t mind about a special picture. But they’re not so used to our style of tours and to dedicated photographers and video film makers. So keep in mind that our behaviour will be remembered. If we fight each other at the first tight spot, it’ll have a certain influence on our opportunity for the next photo spot. The railways must agree to all of our position requests, and declining them for “safety” or “timetable” limitations will be very easy. So keep in mind what your mother taught you and that everyone wants to get the best results out of the tour. 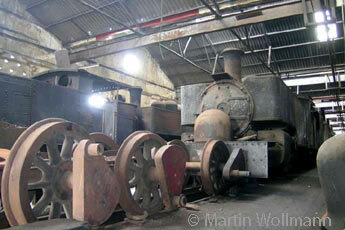 We have two locomotives and some aged wagons. Technical problems might occur, and there is no substitution, refund or any other compensation possible. This is the general risk of the tour, and you must agree to accept this if you want to take part. Hygienic and environmental standards in Sri Lanka do not conform to Central European, Australian or North American expectations. Carrying some toiletries in your photo bag is hence advisable. Please bear in mind that accommodation and transportation in Sri Lanka falls short of EU/US safety standards. Always use common sense when crossing roads and railway tracks. Neither FarRail Tours nor the local agency JF Tours can be held responsible and neither will accept any liability whatsoever in the case of any accident or damage. We suggest you take out a comprehensive overseas accident and health insurance policy. Personal expenses like telephone calls, laundry service etc.